Basseterre, St. Kitts – An Anglican minister who served in St. Kitts, BVI and USVI decades ago recently celebrated 70 years as an ordained priest. Canon Keith Gibson who served St. Mary’s, Cayon, Christ Church, Nichola Town; St. John’s, Cappisterre and Dieppe Bay from 1951 to 1956, celebrated this significant milestone on December 19, 2018 in the United Kingdom. 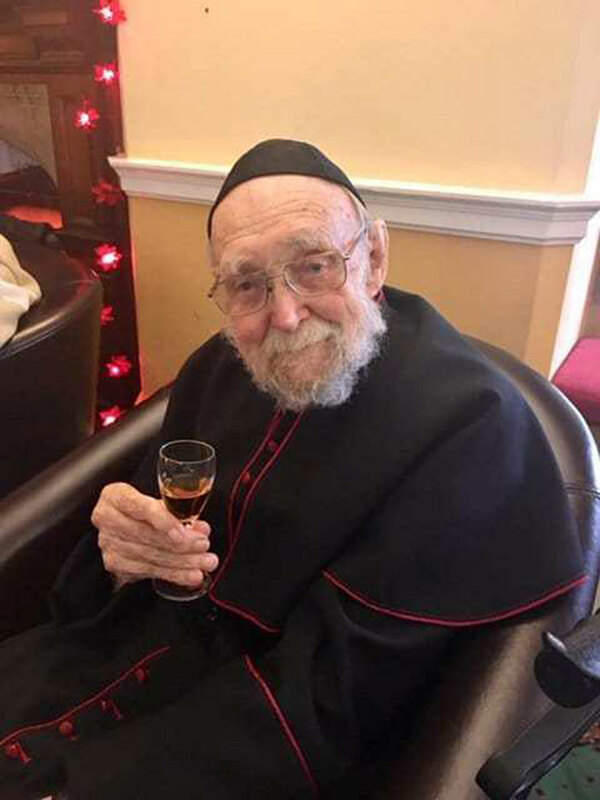 Canon Gibson, who also celebrated his 96th birthday in December also served in England, the British Virgin Islands and the United States Virgin Islands. “You baptized 1,845 people, solemnized 369 marriages, conducted 417 funerals and presented 974 persons for Confirmation – all kept in your little black notebook. You pray for each one by name, on their anniversary. You served the Christian community with love, pride and devotion in England, St. Kitts, the US & British Virgin Islands. To everyone you are Fr. Gibson, Fr. Keith, Canon Gibson, or Canon. To me, you are Daddy. And I am so proud to be your daughter. Love you, Daddy,” wrote Angela.